Oct 24 Fall cleanup at the Polish Home - volunteers needed! The book for the meeting is Bambino by Inga Iwasiow, published by Swiat Ksiazki in 2009. Bambino (a name of a snack bar in Szczecin) follows fates of several people in Szczecin, a big port city in northwest Poland that was taken over from Germany after WWII. Iwasiow is a contemporary writer and a professor of literature at the Szczecin University. Club meetings are in Polish. Oct 24, 10 am - 1 pm: Fall cleanup at the Polish Home - please help! Come to see the new wing of the Polish Home! The Polish Home Assn invites members and friends of the Polish Home to a fall cleanup in and around the building before the new season and the grand opening of the new wing in November. Both the old and new part of the building need attention, inside and outside. Free lunch will be served for all the volunteers! Where: at the Polish Home from 10 am to 1 pm, every pair of hands helps! Free lunch served! The Polish Choir Vivat Musica invites to its 5th anniversary concert. This shapes as another great sing-along evening as the program includes favorite melodies as requested by the audience! 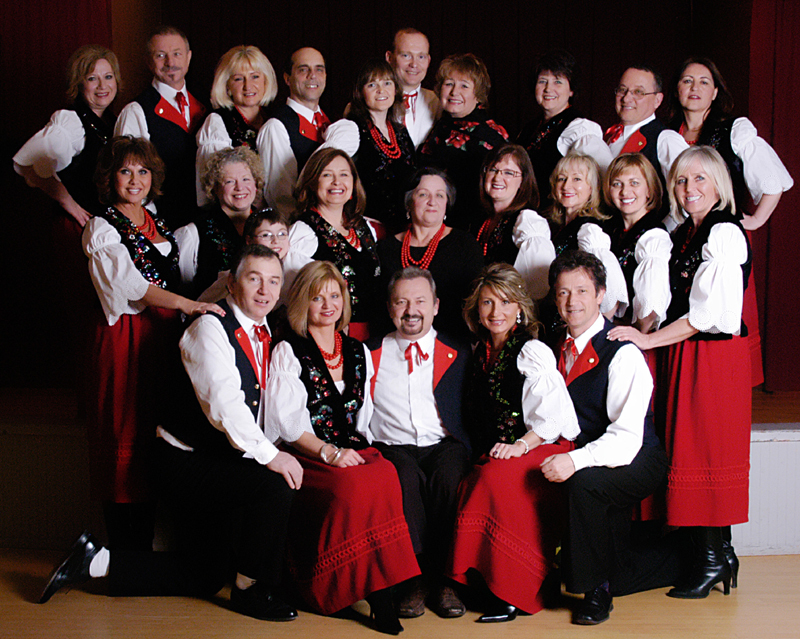 Come enjoy Biesiada songs and other Polish favorites. Good food & wine available - the bar and the restaurant opened from 5 pm, the dinner prepared by the Ladies Auxiliary. Where: at the Polish Home; tickets $10 for the concert; dinner & drinks separately; tickets at the Polish Home on Friday or contact Barbara Niesulowski, tel.206-434-6106 or Ania Borodenko tel.425-280-4858. Second City Chamber Series invites to a birthday concert for three composers: Bacewicz, Chopin and Mendelssohn. The program includes Partita for violin and Piano by Grazyna Bacewicz, Sonata in G Minor 0p.65 for Cello and Piano by Chopin and Piano Trio in D Minor by Mendelssohn, performed by the Icicle Trio: Jennifer Caine, violin, Oksanna Exhokina, piano & Sally Singer, cello. Ms. Eleni Tzoka is a well known Polish pop music singer of Greek origin. She comes to Seattle with her three person band that includes a brilliant instrumentalist of Greek string instruments Kostas Dzokas. As is usual at such events, the Polish Home restaurant will be open from 6 pm. The 2nd Seattle International Piano Festival is a 3-day event featuring participants from all over the world; competition and guest concerts at Benaroya Hall, master classes at the Cornish College of Arts, winners' recital on Oct 11 at Benaroya. Organized by Seattle International Piano Festival with Dr. Ivona Kaminska as the President. Seattle-Gdynia Sister City Assn. invites to a lecture presentation by Martha Golubiec on WWII Soviet deportation of Poles to Siberia. The Sybiracy Project - a local initiative to document survival stories of the Polish victims of Soviet WWII mass deportations to Siberia - has culminated in a film premiere and an art exhibit under the common title Trip to Nowhere.